RARE LL BEAN EDITION ** ALL WHEEL DRIVE ** HEATED LEATHER SEATS ** MOONROOF ** ** 2006 Subaru Outback! 3.0R ** Highly sought after vehicle, HURRY! *** McDonald Mazda South at 6100 South Broadway in Littleton has recently completed construction on the Nation's flagship Revolution dealership, come experience the unequaled luxury for yourself. As always our Market Based Pricing ensures you will always get the best price possible on every pre-owned vehicle! All of our pre-owned vehicles are fully inspected and reconditioned to our high standard. McDonald Automotive is a family owned dealer group for over 50 years and passionately dedicated to community involvement. To us doing right comes naturally!. Please call us today at 303-376-4732 to schedule your test drive. Carfax One Owner! 2013 Nissan Sentra SL! ONLY 46K Miles!! ** Navigation * Sunroof * Affordable * Reliable * Save thousands due to a blemish on CARFAX! Priced aggressively due to Carfax history. This great deal won't last!! Call now!! 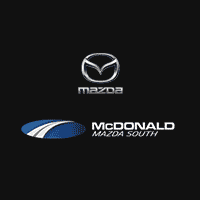 *** McDonald Mazda South at 6100 South Broadway in Littleton has recently completed construction on the Nation's flagship Revolution dealership, come experience the unequaled luxury for yourself. As always our Market Based Pricing ensures you will always get the best price possible on every pre-owned vehicle! All of our pre-owned vehicles are fully inspected and reconditioned to our high standard. McDonald Automotive is a family owned dealer group for over 50 years and passionately dedicated to community involvement. To us doing right comes naturally!. Please call us today at 303-376-4732 to schedule your test drive. VERY RARE 2 DOOR COUPE * Clean Carfax One Owner! 14 Service Records! Only 69K Miles! 2009 Nissan Altima 2.5 S Coupe * AM/FM Stereo, Seek-Scan Radio * 8-Way Power Driver Seat * Leather-Wrapped Steering Wheel * Steering-Wheel Audio Controls * AM/FM/CD Audio System & 6 Speakers * Power Windows * Power Mirrors * Dual Illuminated Vanity Mirrors * Automatic On/Off Headlights * Push Button Start Alloy * Wheels * Finished in Code Red Metallic * Affordable * Reliable * Easy to Maintain! * *** McDonald Mazda South at 6100 South Broadway in Littleton has recently completed construction on the Nation's flagship Revolution dealership, come experience the unequaled luxury for yourself. As always our Market Based Pricing ensures you will always get the best price possible on every pre-owned vehicle! All of our pre-owned vehicles are fully inspected and reconditioned to our high standard. McDonald Automotive is a family owned dealer group for over 50 years and passionately dedicated to community involvement. To us doing right comes naturally!. Please call us today at 303-376-4732 to schedule your test drive. 2012 Hyundai Accent GS ** 56k Miles ** 6-speed Manual ** Fuel efficient, reliable and affordable! Mechanically inspected and reconditioned. Great vehicle for the money! Purchase with confidence and peace of mind. McDonald Hyundai specializes in the very best Pre-Owned vehicles of every make. All of our Pre-Owned vehicles are fully inspected and reconditioned to our high standard. McDonald Automotive is a family owned dealer group, dedicated to community involvement and ensuring that we provide the very best quality vehicles for over 50 years. Please call us today at 303-376-4731 for more information. 1 -- OWNER ** 53k Super Low Mileage ** 2009 Hyundai Sonata Limited ** Leather Seats, Navigation, Moonroof, Alloy Wheels and so much more! Fully equipped. Mechanically inspected and reconditioned -- purchase with confidence and peace of mind. McDonald Hyundai specializes in the very best Pre-Owned vehicles of every make. All of our Pre-Owned vehicles are fully inspected and reconditioned to our high standard. McDonald Automotive is a family owned dealer group, dedicated to community involvement and ensuring that we provide the very best quality vehicles for over 50 years. Please call us today at 303-376-4731 for more information. 2011 Volkswagen Jetta SportWagen! TDI Turbodiesel! Sunroof! 17" Wheels package! FULL mechanical inspection completed! FULL reconditioning completed! Great vehicle for the money! Will not last. McDonald Volkswagen specializes in the very best Pre-Owned vehicles of every make. All of our Pre-Owned vehicles are fully inspected and reconditioned to our high standard. McDonald Automotive is a family owned dealer group, dedicated to community involvement and ensuring that we provide the very best quality vehicles for over 50 years. Please call us today at 303-376-4734 for more information. BRAND NEW TIRES ** 2013 NISSAN ALTIMA 2.5 SV ** 76k Low Miles ** Full mechanical inspection and reconditioning completed **Fuel efficient sedan with easy maintenance and great reliability ** Financing available and we take all trades! McDonald Hyundai specializes in the very best Pre-Owned vehicles of every make. All of our Pre-Owned vehicles are fully inspected and reconditioned to our high standard. McDonald Automotive is a family owned dealer group, dedicated to community involvement and ensuring that we provide the very best quality vehicles for over 50 years. Please call us today at 303-376-4731 for more information. 1 - OWNER ** 46k Miles ** 2014 Chevrolet Spark 2LT ** Leather Seats ** Touchscreen Audio ** Alloy Wheels ** Easy to maintain, great on gas and affordable! Mechanically inspected and reconditioned. Market based pricing saving you time and money! McDonald Hyundai specializes in the very best Pre-Owned vehicles of every make. All of our Pre-Owned vehicles are fully inspected and reconditioned to our high standard. McDonald Automotive is a family owned dealer group, dedicated to community involvement and ensuring that we provide the very best quality vehicles for over 50 years. Please call us today at 303-376-4731 for more information. BRAND NEW TIRES ** 1 -- OWNER ** 2013 Dodge Dart Limited/GT **NAVIGATION ** 17" Wheels! ** MultiAir Turbocharged 6-Speed Manual transmission. Mechanically inspected and reconditioned. Market based pricing saving you time and money! Audi Denver is the area's premier luxury automobile dealership specializing in new Audi vehicles and Pre-Owned vehicles of all makes. Our vehicles are all inspected, and reconditioned to our high standard. Please contact a sales specialist today at 303-376-4730.